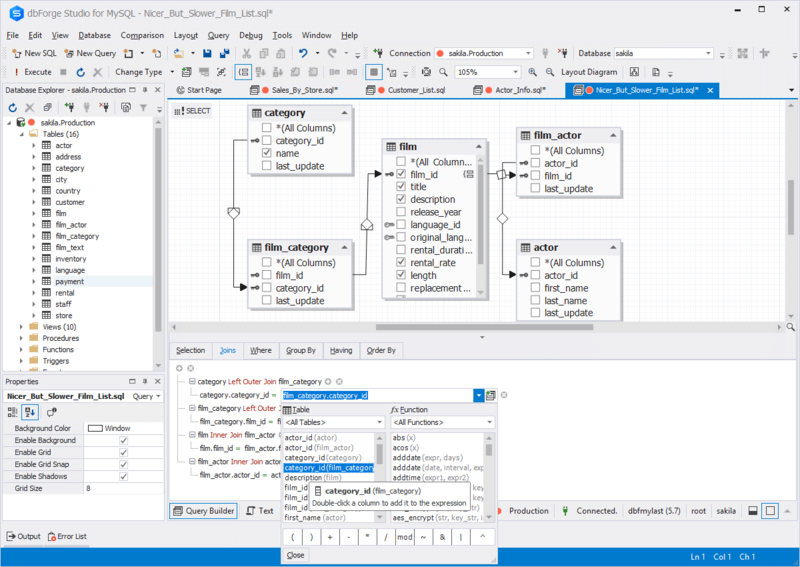 Build any complex queries which you could not create before with MySQL query tool built in dbForge Studio for MySQL. “Draw” your query on a visual diagram. Add tables, create joins, or edit conditions with several clicks of the mouse. Setup SQL formatting style. 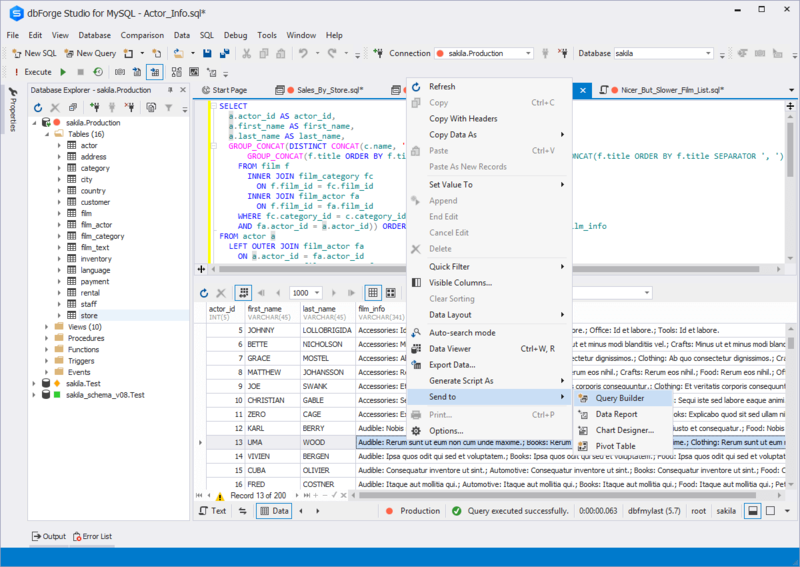 Get extended data management in addition to quick creation of queries and sub–queries. 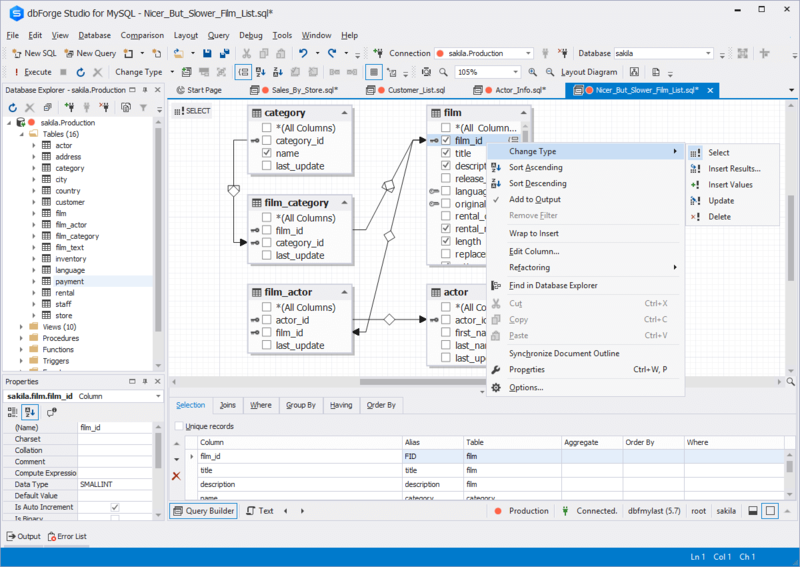 You can save your time and avoid errors, while creating queries in the MySQL visual query editor. Cancel monotonous coding and start “drawing” your query on the elaborated diagram. Drag–and–drop required tables to the diagram, join them, and select columns visually. For better view, use zooming options. Reduce your tension while creating complex sub–queries. Feel comfortable and manage them as a simple query. Using the tabbed window of the MySQL query tool, you can edit sub–queries in separate windows and easily access the main query. Automate your work with query criteria. See and visually edit them on the separate tabs of our visual MySQL query tool where you're drawing your query. You don't need to type the columns' names or remember complex rules. Just select required data from the lists and enjoy the results. Data management has become more convenient. Effortlessly group, sort, and filter data in the grid of the MySQL query editor. For better data view and editing, use various modes. Benefit from cached updates and manage your data based on your needs. Moreover, you can print or export query results. Read Hands–free Building of Queries with Query Builder article to learn how to efficiently use Query Builder for MySQL. 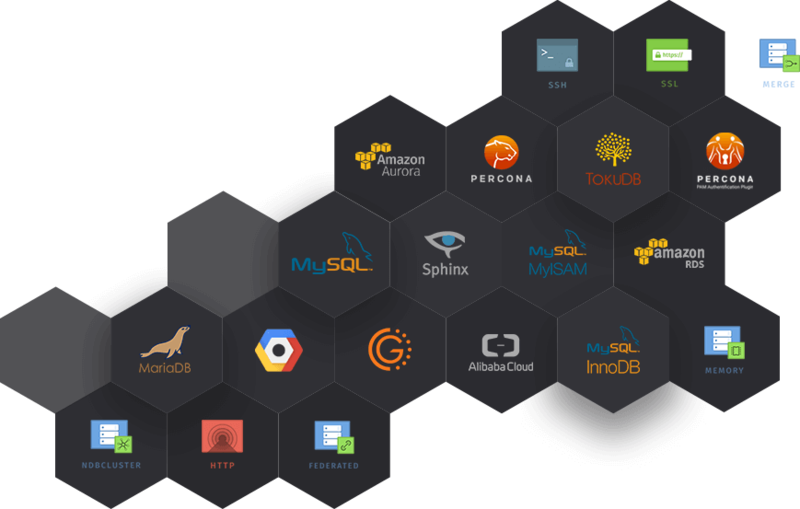 Read about the benefits of Query Builder for MySQL as a separate tool.